Penetration testing was much like taking a battering ram to the door of the fortress. Keep pounding away and maybe find a secret backdoor to enter through. But what happens if pieces of the network are outside of the fortress? With the flurry of Internet of Things devices, is it harder to conduct a pen test with that many devices and end points? Claud Xiao, principal security researcher, Unit 42 at Palo Alto Networks, said for just testing some network services on IoT devices in a black box way, the difficulty level and the steps are similar with regular pen testing. But if you're discovering vulnerabilities via analyzing firmware or via analyzing wireless communications (e.g., Bluetooth or ZigBee), that's much harder. “Every step above may fail due to diversity existing everywhere during IoT devices' and embedded Linux system's design and implementation. Even if a security flaw was discovered, some additional knowledge may be required in order to write a workable exploit code,” Xiao said. The benefits to pen testing Iot include strengthening device security, protecting against unauthorized usage, avoiding Elevation of Privileges, Lowerreducing the risk of compromise, better user and data privacy, and settrong Encryptionencryption to avoid man-in-the-middle (MTM) attacks. Don Green, mobile security manager of Threat Research Center at WhiteHat Security, also agrees that IoT assessments are inherently more complicated because there is more hardware, software, and communication protocols involved. “This translates into a larger attack surface and a wider array of attack vectors. A successful IoT assessment requires that the electronic ecosystem for a specific IoT device is thoroughly mapped and a detailed assessment plan is developed,” he said. While the IoT has not introduced new technology per se, he said it has introduced a more complicated environment for developers and security teams. 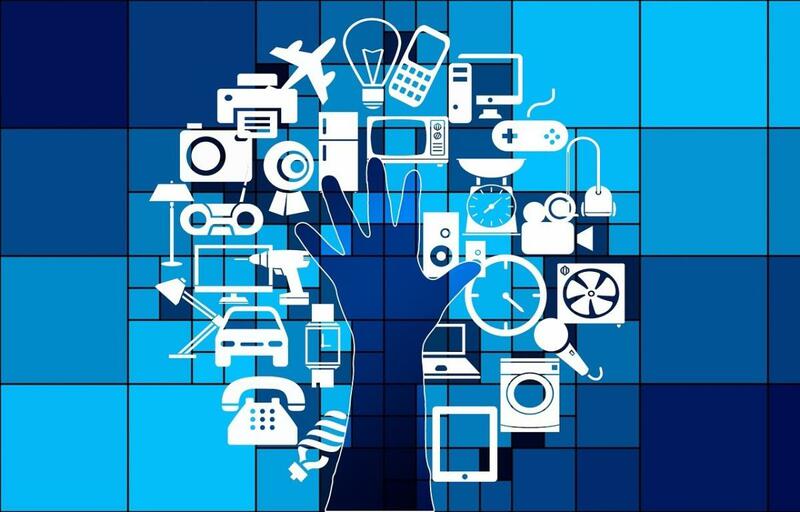 Understanding the complexities of the environment, adequate research of components, and development of a thorough assessment plan are the keys to success for securing the IoT. Most attacks start by luring the end user to open an email or click a malicious link, within the world of IoT it is different. There is no end-user behind those devices. Therefore, there is no person to lure, making it more challenging to break into embedded devices (low-hanging fruits like default credentials or plain text login protocols, like telnet, are not considered as challenges and therefore out of scope during Penetration Testing), he said. The main difference between traditional and non-traditional penetration testing is the diversity in IoT. With traditional testing, the penetration tester is usually confronted with Windows or Linux x86/x64-bits systems, known TCP/UDP protocols and applications. But, when you switch to IoT, you have new architectures that are uncommon for most penetration testers (ARM, MIPS, SuperH, PowerPC, etc.). Different communication protocols like ZigBee, SDR (Software Defined Radio), BLE (Bluetooth Low Energy), NFC (Near Field Communication), that requires new expertise and tools to test them. Regalado said dealing with Real-Time Operating Systems (which are very common in infusion pumps) may require the penetration tester to create new tools from scratch to support this kind of technology. Traditional penetration testers can get completely lost in the vulnerabilities of embedded devices and these protocols. Dean Weber, CTO, Mocana, said IoT pen testing is a knowledge-based approach with homegrown and commercial tools mixed together to accomplish an objective -- but that is only at the device level. “Going up a layer, it's IoT systems that are at risk, based on individual vulnerabilities,” he said. Network: An IoT environment runs on and is updated over a network, such as the Internet, BLE, 4G, LTE, Zigbee, LoRA, WiFi, MQTT, 802.11.15.4, etcor others. Applications: IoT applications manage device- Web App, Mobile App,, and they can be web apps, mobile apps, or APIs (SOAP, REST)). Firmware: This is the device’s software and operating system. Encryption-: Encryption protects communications and data stored on the device. Hardware: This is the IoT device hardware (Chip, such as a chip set, Storagestorage, JTAG, UART ports, Sensors, Camera etc.) port, sensor, camera, or other device. “With five levels of functionality required to operate an IoT solution, you can see the vast threat surface. That’s why penetration testing for an IoT device should encompass network, applications, firmware, encryption analysis, and hardware pen-testing. A single pen-test will not be sufficient,” said Sameer Dixit, senior director of Spirent Security Labs at Spirent Communications. Pen-testing in the IoT era requires greater knowledge of non-traditional devices operating systems, communications and protocols - connected TVs, cameras, smart buildings and other assets are unlike PCs and servers, said Mike Spanbauer, vice president of strategy for NSS Labs. The skills and experience of how data paths work can be leveraged between compute platforms and IoT, however the priority on OT vs. IT and that uptime rules all (at least in industrial and business IoT) changes the mindset, and approach required to design and assess the weaknesses of the system. “Companies should avoid ‘over-correcting’ in pen tests to hyper focus on just IoT devices. Bear in mind that a lot of these devices are actually compromised by weaknesses in things like their accompanying cloud accounts, management consoles and other aspects of the ‘regular’ attack surface of PCs, apps and servers,” he said. Those who look to investigate IoT vulnerabilities will be quite skilled in the established pen space as well due to many of these devices possessing Windows or Linux monitoring or management apps that must be thoroughly pen tested too. “The concept of discrete element is difficult to pin down in IoT due to very nature of distributing the monitoring and compute elements,” he said. The main challenge with any pen-test exercise is that it yields a point-in-time look at vulnerabilities, and the reality is that IT environments are constantly changing - *particularly* due to IoT, Spanbauer said. Organizations must prepare for and adopt a continuous validation model, where key services and devices are monitored for behavioral anomalies in addition to vulnerability scanning, protocol inspection, and more. “There is no substitute for context based intelligence, which only comes from knowing your environment and continually monitoring and validating it,” he said. Deral Heiland, research lead at Rapid7, said what can make pen testing IoT more problematic is when IoT components are approached separately. If tested separately, a tester does not take into consideration the interaction of the component within the products ecosystem. This can lead to critical security issues being overlooked. To avoid this, a fully functioning IoT product ecosystem must be set up and operationally tested to map out all interaction between the parts. Praetorian CEO Nathan Sportsman said when it comes to the security of embedded devices (“Internet of Things”), many companies have a tendency to rely on the assurances given to them by the OEMs. If they conduct their own review, it is typically limited in scope, and often consists of a limited security assessment and vulnerability scan. A tester has to be good at network security to determine what protocols are being used and what information may be at risk. A tester has to be good at normal web tests, to see if there are any weaknesses with any web based configuration interface on the device. A tester has to be good at testing obscure OS instances. While a large number of these devices will run some variation of Linux, there are many running QNX, VXworks, Windows embedded, and sometimes custom one-off operating systems. A tester has to be good at reverse engineering and decompiling applications from extracted firmware. Some devices, will not have an OS and will run straight on the metal. For these tests the tester will have to fully reverse engineer the application to determine if it’s vulnerable to attack. IoT solution pen-testing involves testing the network, API, and applications. This can be done remotely if the IoT environment is accessible over internet or a wireless network. For hardware, encryption, and Wi-Fi pen-testing, the device is connected in a lab and analyzed for logical and physical security weaknesses, said Dixit. You may need to deconstruct the device, identify its hardware debugging interfaces or storage chips, dump the firmware via some different hardware hacking techniques, said Xiao. Then you need to analyze the firmware and extract internal executables and configurations from it. Last you'll reverse the executable files and discover security flaws in them. Green describes the process in a micro and macro level. Mapping happens at a macro and then a micro level, he said. From the macro perspective, the mapping needs the breadth to encompass all the devices and components that participate in the functionality of this ecosystem.” This means everything. All devices, all communications, and all software components,” he said. At the micro level, one must understand the depth of each component and the potential weaknesses. What kind of hardware, what kind of firmware, what kind of communications, what software language, what third party add-ons? This requires significant research to understand weaknesses of individual components and weaknesses in the interaction of components, he said. “Armed with this comprehensive map, the assessor has a blueprint to develop an assessment plan and chose the appropriate tools from their hacker tool box. At this point, the tester has completed the required heavy lifting. They understand the IoT device, the landscape in which it functions, and have developed a comprehensive assessment plan which includes the specific tools for the job. Now the fun part begins. Execute your assessment plan and hack that device!,” Green said. Regalado said first, define the scope. Second, identify the type of devices you are targeting. Penetration testing in IoT involves black-box and white-box testing. Within black-box testing, the hacker has no knowledge of the company’s network. He is acting as a real hacker. The black-box tester is simply given the company name and told to “go for it.” The black-box tester must find the IT assets and start attacking them. Within white-box testing, a company gives more information to the penetration tester such as, credentials to access systems, source code of applications, access to the local network etc., with the purpose to thoroughly assess every single path within its network. Within black-box testing, any vulnerability a penetration tester finds will be like a real-world hack. In other words, if the penetration tester can break into the local network via a company’s web site, it is very likely a real hacker will be able to do the same, if it has not already been done. Ragalado said most important, some companies believe they are safe simply through a black box test. However, it is key to remember that a white-box approach will help to understand what an attacker is able to. Dixit said apps and networks that are scanned and pen-tested regularly, and the same security habits should be followed for IoT solutions, because they are a conglomerate of app, network, and hardware. Minimally, IoT solutions should be tested with every new update/ or release in order to assess the impact of the new release on device and to test for new vulnerabilities that might appeared since the last scan or pen-test.